The historic Ambassador East Hotel, in Chicago’s Gold Coast, has recently reopened as PUBLIC Chicago. Veteran hotelier Ian Schrager, known for creating L.A.’s Mondrian Hotel and New York’s Gramercy Park Hotel, is the driving force behind the redesign. Chicago is the first city to experience Schrager’s new PUBLIC concept, one among many he envisions as a nationwide brand of luxury, boutique hotels. 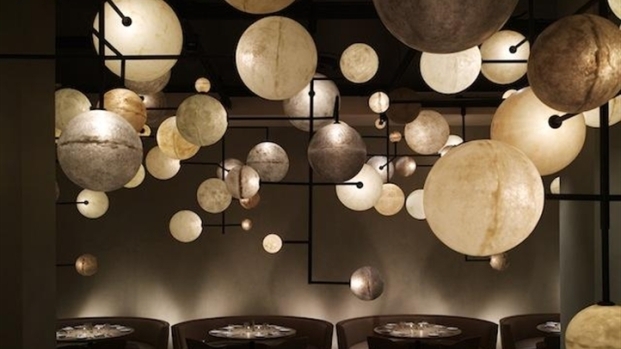 The Pump Room inside the hotel remains, but the legendary restaurant has also undergone a generous makeover. Esteemed chef Jean-Georges Vongerichten conceptualized its “farm-to-table” menu. Hear what both gentlemen have to say about their latest concept finally opening to… the public!